Young people from across the UK have drawn on their own personal experiences to create a suite of road safety resources. The resources – which include films, posters, air fresheners and beer mats – have been produced by 16-25 year-olds working in partnership with Fixers* – a charity which aims to give young people a voice – and with funding provided by the Road Safety Trust. 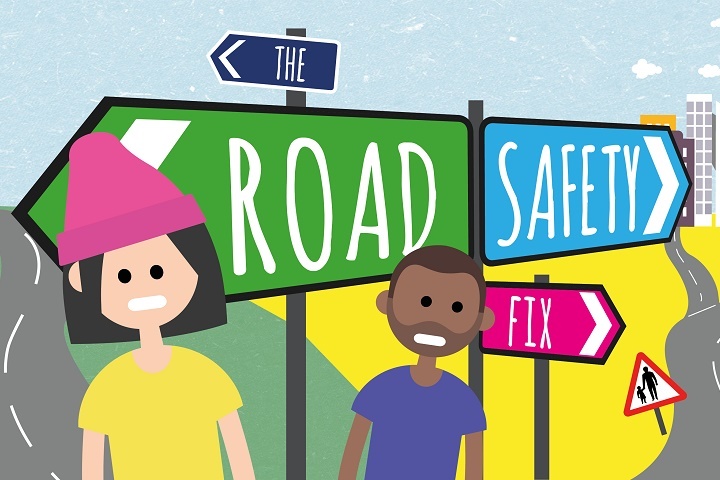 The resources are now available for professionals, parents and young people to download via the Fixers website and cover topics including drink driving, cycle awareness, driver distraction and learning to drive. Jay Connor’s ‘One Pint Worth a Life?’ film addresses the life-long consequences of driving under the influence, while Cassy Del Busso’s ‘Don’t Dial and Drive’ video emphasises the effect using a phone behind the wheel can have on drivers and their families. Print resources include the ‘One Second, One Life air-freshener’, created by Ferhaz Alam to encourage motorists to consider their speed. ‘Don’t be a C@?k’ beer mats, designed by Jessica Burris, provide an explicit reminder not to drink and drive. While the resources have been created by young people, they are aimed at all road users to ‘try and bring about positive change in these issue areas’. *Fixers works with young people aged 16-25 across the UK by providing them with professional resources to help them campaign on issues they feel strongly about. The charity has helped more than 23,600 young people have a voice on issues such as cyber-bullying, self-harm, suicide or transphobia.